Vector provides OEMs and suppliers of automotive and related industries software components, services, projects and embedded hardware for creating embedded systems. We focus on basic software and hardware solutions as supplement to the application of our customers. Take advantage from proven standardized basic software for various application areas. This lets you port your application conveniently and quickly onto different hardware platforms and for different OEMs. Hardware Drivers for CAN, LIN, FlexRay, Ethernet, Flash, EEPROM, Timer, ADC, PWM, etc. 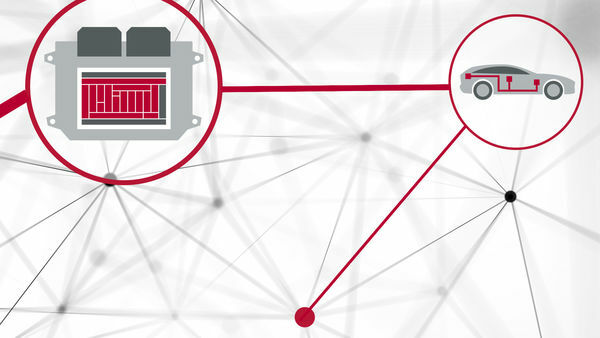 The Vector Controllers are ECUs for specific use cases with the focus on data communication. They are perfect for the rapid development of functional samples and for use in series production. Whether charging control unit for commercial vehicles or gateway: The development costs are shared across many users. That keeps the price reasonable. The Vector Controllers are perfect for your prototyping and development projects. They are also available in high quantities for test fleets and small series productions. Together with the MICROSAR basic software it forms a complete package with full functionality. The open ECU is also capable to host your individual software.